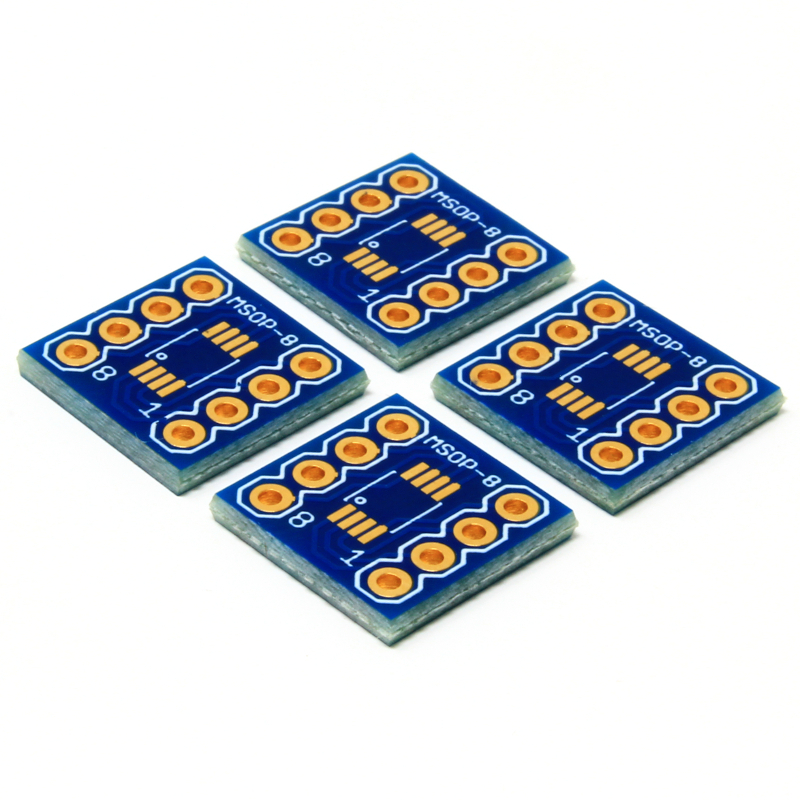 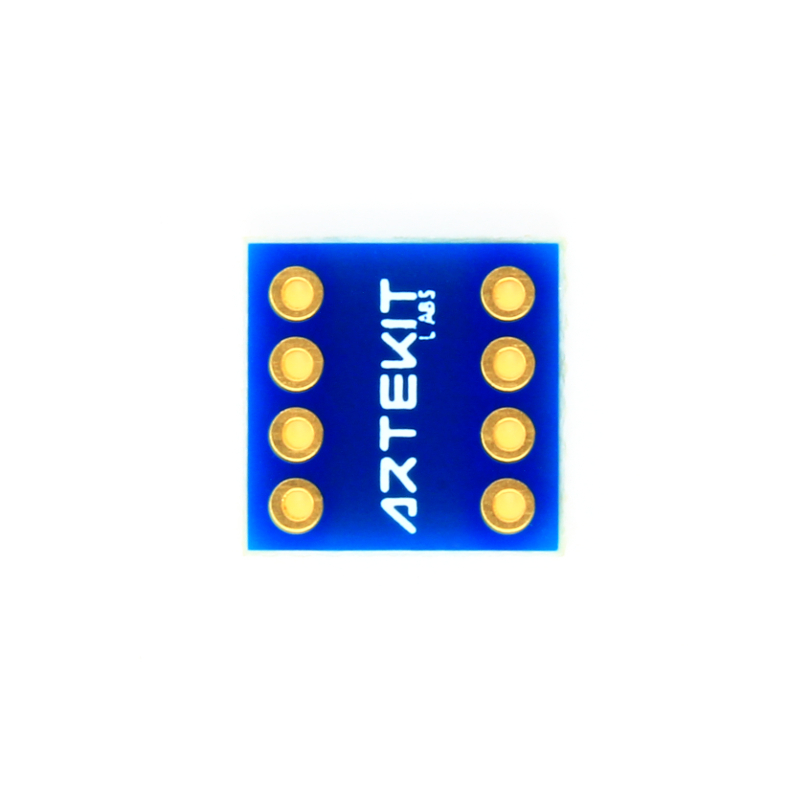 Pack of 4 breakout boards for a MSOP-8 package (body: 3mm x 3mm, pin pitch: 0.65mm). 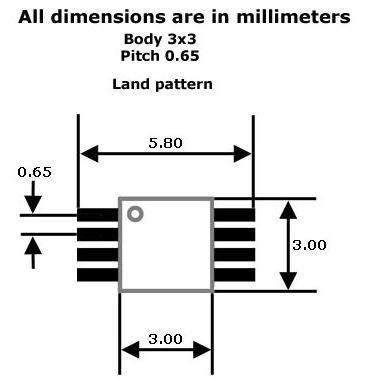 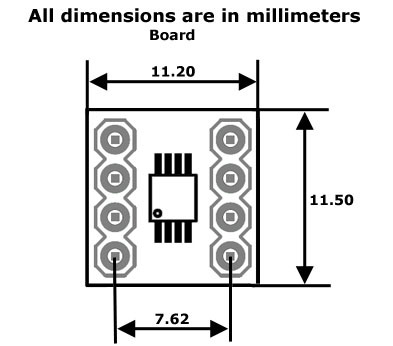 This adapter board breaks out a MSOP-8 IC (with a body of 3mm x 3mm and 0.65mm pin pitch) into 0.1″ (2.54mm) spaced pins that match most breadboards and protoboards in the market. 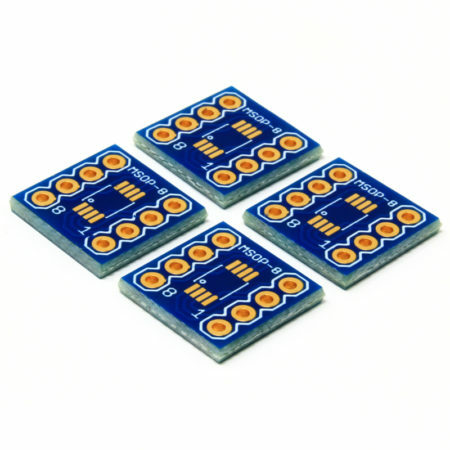 This is a high quality PCB, with all the copper pads and contacts plated with Electroless Nickel Immersion Gold (ENIG) process, that offer an excellent surface planarity and oxidation resistance. 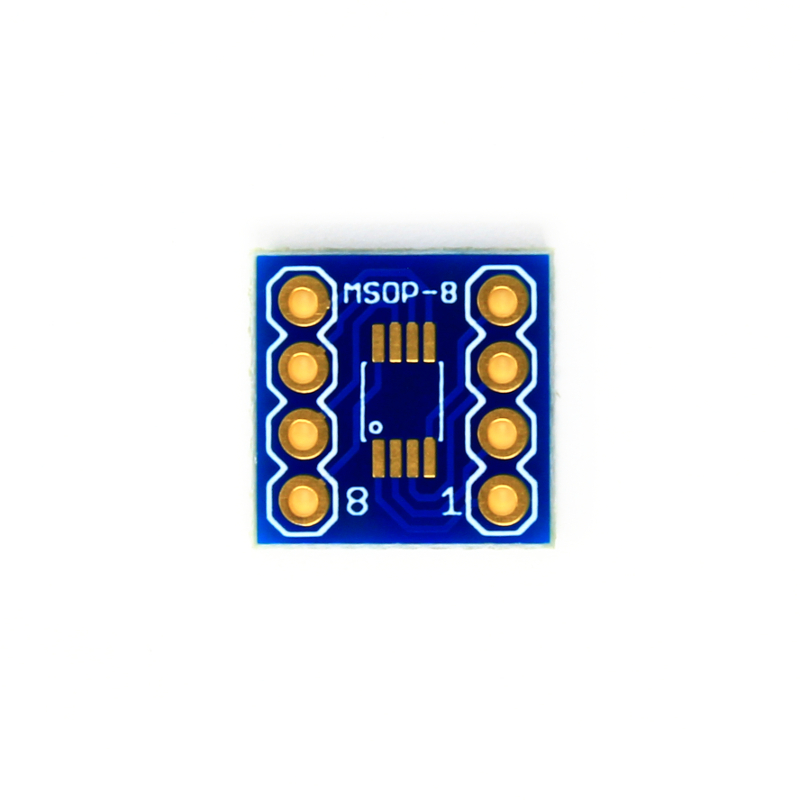 By purchasing this item you will receive a pack of 4 MSOP-8 adapter boards. 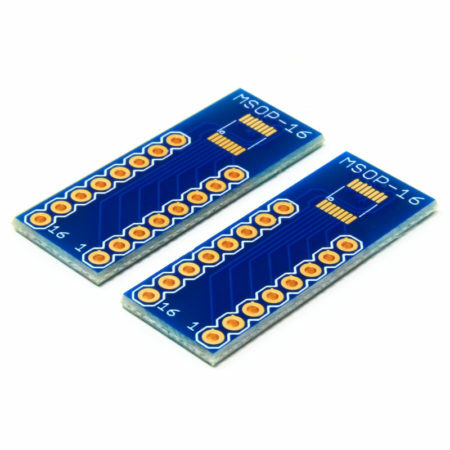 Standard thickness, high quality PCB. 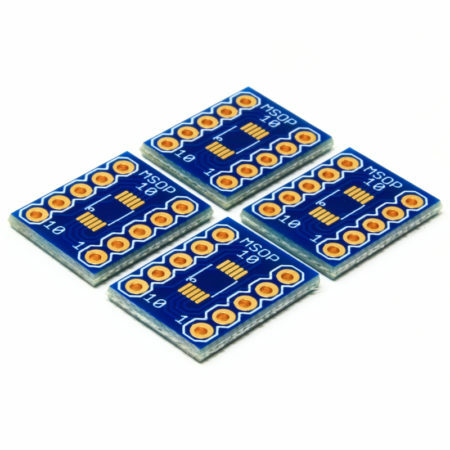 Electroless nickel immersion gold (ENIG) contacts.